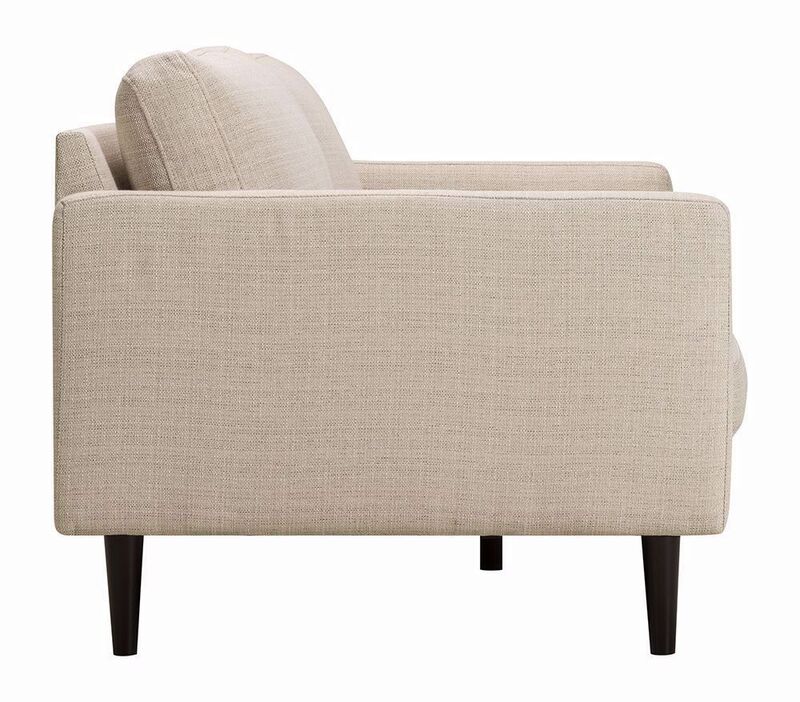 Clean-lined sophistication has reached its peak with the Dover Muslin Loveseat. Wrapped in a versatile, neutral color you simply can't go wrong with, it's up for the task of revamping your space into a chic, modern oasis. 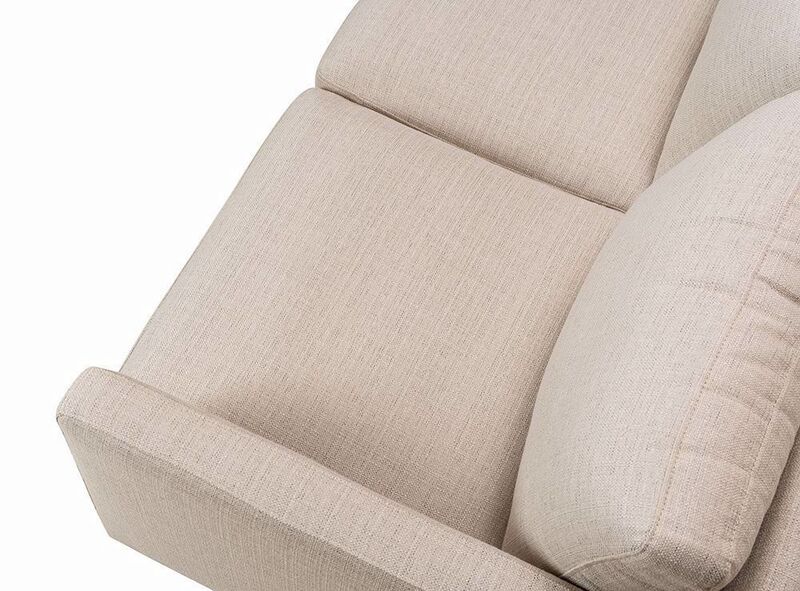 Sumptuously soft cushions and a sinuous spring support system ensure ultimate lounging comfort. 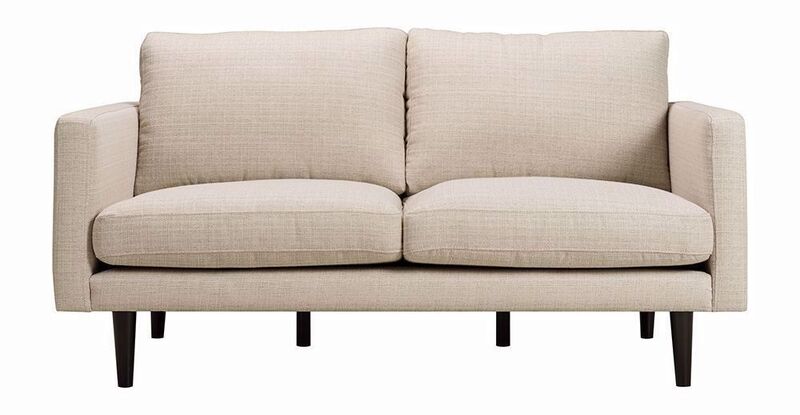 Treat yourself to a posh piece, and say hello to the Dover Muslin Loveseat. 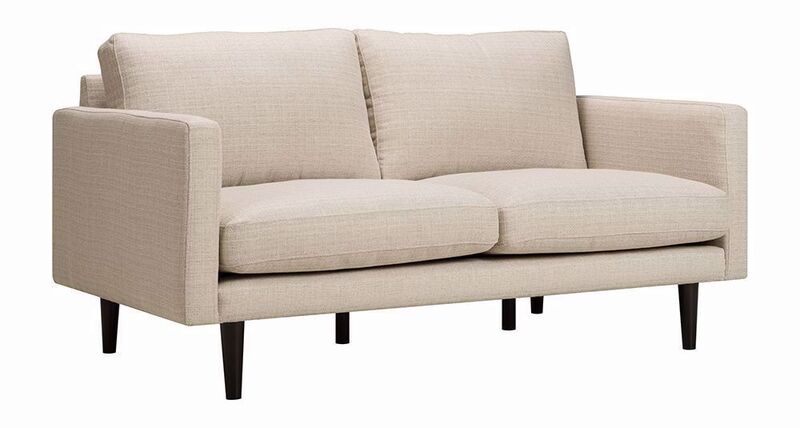 Clean-lined sophistication has reached its peak with the Dover Muslin Loveseat.